But that secret info isn’t coming out just yet. The hype train for Mass Effect Andromeda is officially rolling. Bioware seems to be using the San Diego Comic Con as a kind of second, more low key E3 conference. 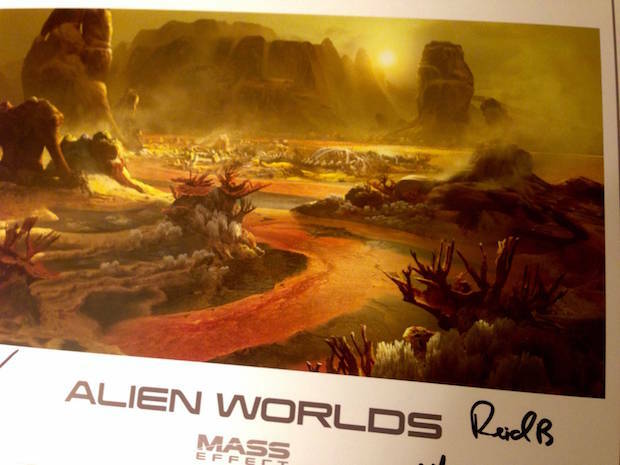 The company unveiled a new lithograph that is based on the new game and while that is interesting enough, the fact that they also revealed some “secret info” to a select group at the conference has left tongues wagging. The company clearly wants to play both sides of the PR game, considering that Chris Wynn took to Twitter to let everyone know they were showing off “secret info” to people who weren’t being allowed to turn around and spill the beans, at least not yet. The goal of showing off the info was apparently to get a little feedback. 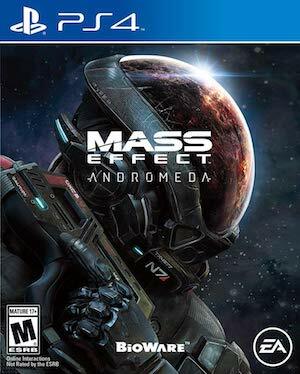 Considering the game isn’t coming out until the Holiday season next year, it seems likely that feedback could play a real part in the shaping of Mass Effect: Andromeda moving forward. Several Twitter users, who have apparently been in on these panels before, responded on Twitter that they thought they knew who was in on the info, though they didn’t say who. What that does indicate is that Mass Effect Andromeda creators have been working on this with the same people, or some of the same people for a little while now. We hope that some of that feedback will steer the way the game is going to end. So far, Wynn has put a lot of teases out, without much info on the game, but hopefully that changes soon. Mass Effect: Andromeda is due out sometime next fall for the Xbox One, PS4 and PC.